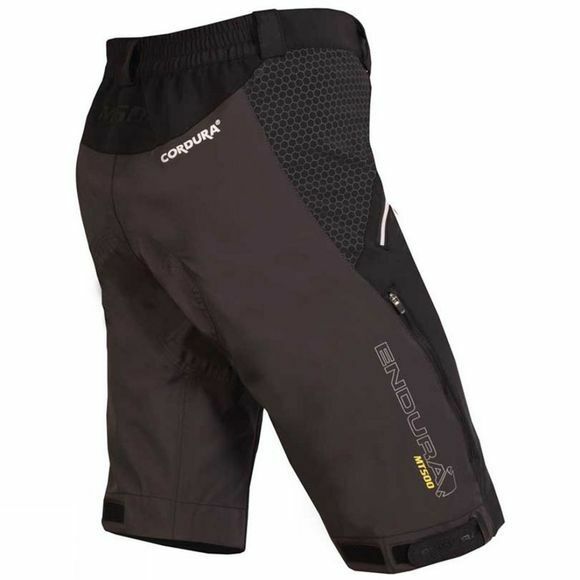 Endura's Women's MT500 Spray Baggy shorts are hard wearing, with a waterproof rear and lightweight CorduraÂ® front. Stretch waistband gives a comfortable fit, whilst the integral belt gives you maximum of adjustment, whilst offering a secure fit. Thigh vents give you excellent ventilation, whilst hem adjusters, allow you to customise the fit further. 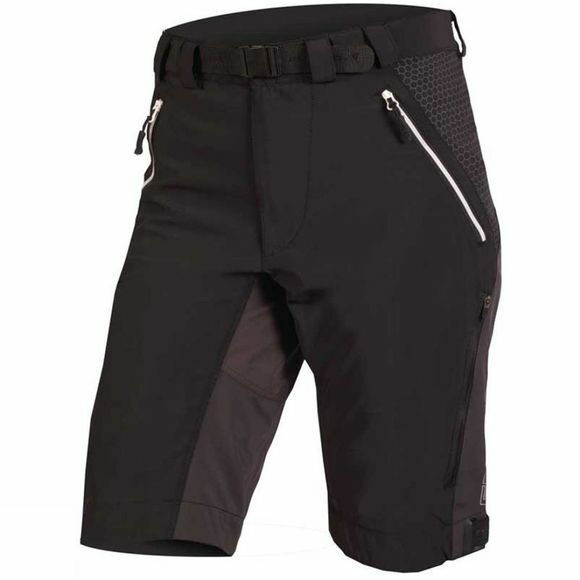 Zipped front pockets keep your hand held essentials secure and to hand, in the Women's MT500 Spray Baggy shorts.